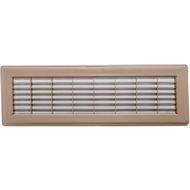 Metal ducted heating vent in popular Beige. Neck is 100 x 40mm (10cm x 40cm) - so vent fits a hole of these dimensions. Actual vent dimensions are approximately 15cm x 45cm as vent has a 2.5cm rim all around the neck. 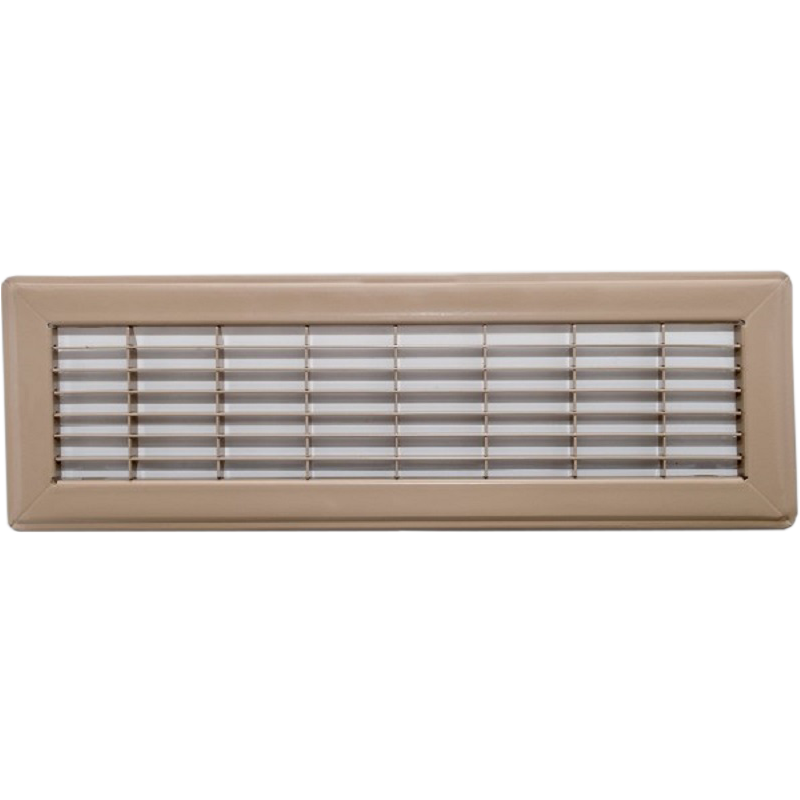 Vent has no open/close damper - however most ducting has an adjustable damper.